Gary Cook retired from senior management in 2002 and decided to volunteer in a number of roles, concentrating largely on Australian History. Currently he is a Speaker for Sydney Harbour Federation Trust, Speaker and Guide for Sydney Living Museums, Speaker and Guide for History and Heritage Tours of the State Library of NSW. Gary is also a Justice of the Peace at Balmain Local Court. In 2011, Gary was awarded the NSW Government Heritage Volunteer Award. The Sydney Harbour Federation Trust is a self-funding agency created by the Australian Government responsible for vision planning and management of Sydney Harbour sites including Cockatoo Island and Snapper Island in Sydney Harbour, Woolwich Dock and Parklands in Woolwich, HMAS Platypus in Neutral Bay, Georges Heights, Middle Head and Chowder Bay in Mosman, North Head Sanctuary in Manly, Marine Biological Station in Watsons Bay and Macquarie Lightstation in Vaucluse. The Harbour Trust’s role is to cultivate a long-term vision plan for these sites to ensure they are integrated into the life of the city and create a lasting legacy for the people of Sydney and Australia. Join Gary Cook as he shares historic and current photos and the colourful and little known tales of eight former military, colonial and convict sites around Sydney Harbour, from the life of a convict on Cockatoo Island to the role North Fort fortifications played in defending Sydney during WWII. 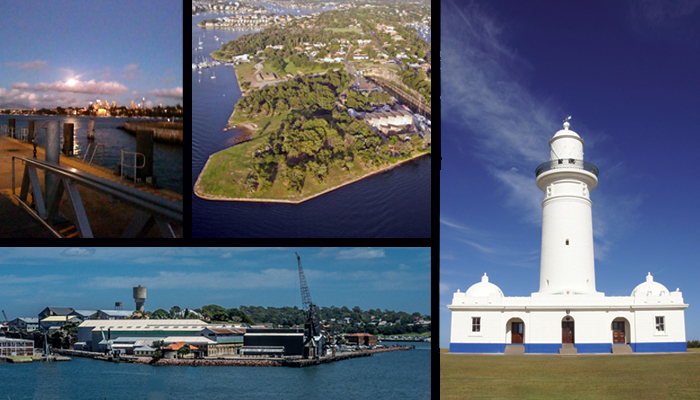 Learn about the future of these Harbour gems, including Snapper Island, Former Marine Biological Station, Macquarie Lighthouse, Woolwich Dock and Parklands, and Former HMAS Platypus, some of which have been hidden away for years. Garry will reveal how Sydney Harbour Federation Trust is weaving these sites back into the life of Sydney and how you can now enjoy them through tours, events, day visits or even by staying overnight.